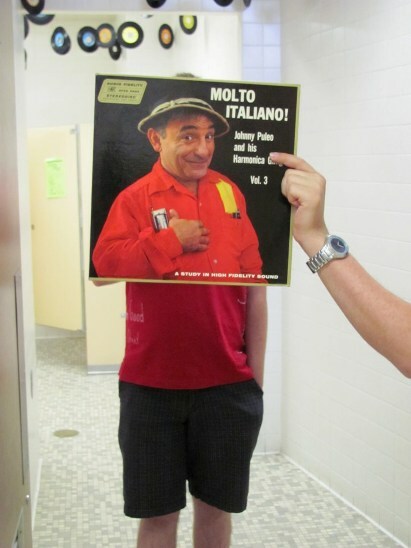 Johnny Puleo is caught a bit unawares with a request to play his harmonica in the Music Library’s men’s room. In this photo: Johnny Puleo, RJ Ingram and Michael Lee. Photo by Liz Tousey. This entry was posted in Pop and tagged Johnny_Puleo. Bookmark the permalink.